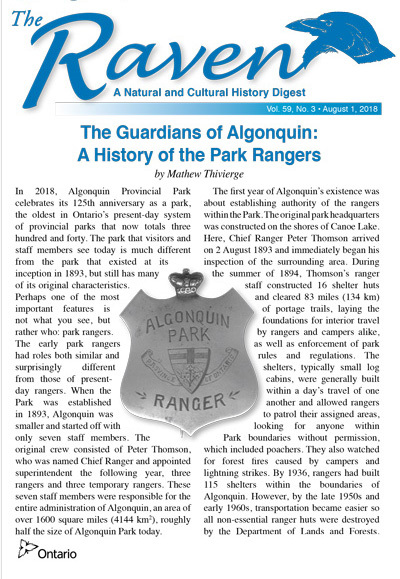 In 2018, Algonquin Park is celebrating 125 years since its establishment. Algonquin Park was established in 1893 when the Ontario government acted upon a recommendation of the Royal Commission on Forest Reservation and National Parks in "reserving a portion of the ungranted Crown domain to be set apart as a Forest Reservation and National Park." Algonquin Park continues to perform these original functions, and since 1893 has expanded to twice its initial size. 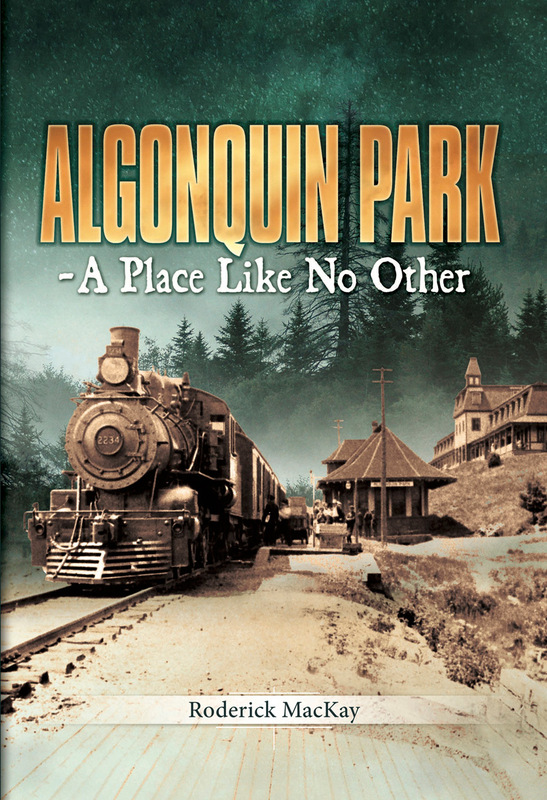 The original Park area, consisting of 18 townships (approximately 3,797 square kilometres), was designated in 1893 as Algonquin National Park under the Algonquin National Park Act. 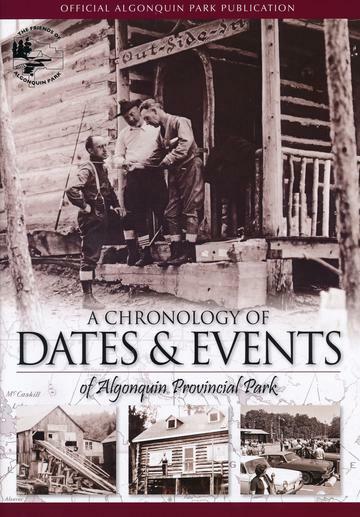 The Park’s name was subsequently changed in 1913 to Algonquin Provincial Park, and since 1893 the Park has had its boundaries amended eight times to include 15 additional parcels of land. Today, Algonquin Park covers 7,630 square kilometres. Today, Algonquin Park protects a variety of natural, cultural, and recreational features. Algonquin is biologically diverse with more than 1,200 vascular plant species and more than 400 vertebrates have been found within its boundaries. The Park contains numerous historical resources and has inspired more than 100+ books, 2000+ scientific papers, numerous films, at least one symphony, and the art of Tom Thomson, the Group of Seven, and many more. Algonquin Park provides many opportunities for visitors to appreciate the Park’s natural setting while enjoying numerous recreational activities. Accessible from large urban centres and convenient to most tourism travel routes across Ontario, Algonquin Park attracts over a million visitors yearly who participate in day use activities, camping, and backcountry travel along an extensive network of canoe routes. In order to help share Algonquin Park with visitors from the world, The Friends of Algonquin Park was established in 1983. This Canadian registered charity and non-profit, non-governmental organization is people passionate about Algonquin Park. The Friends enhance normal government funding for Algonquin Park by generating revenue through the operation of retail locations, recruiting members, and fundraising. All of our proceeds are reinvested back into the Park. 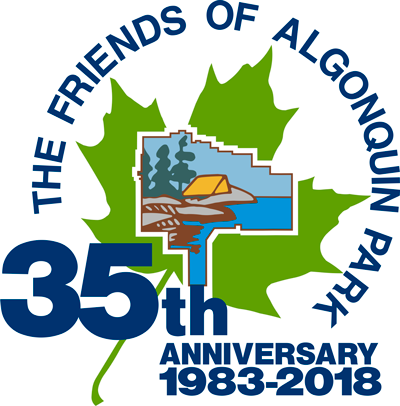 The Friends of Algonquin Park is celebrating 35 years of supporting Algonquin Park in 2018 and we hope you will consider making a donation during this significant year. Based upon success of the establishment of Algonquin Park 125 years ago, Ontario has continued to expand the provincial park system. Ontario had just 8 provincial parks until 1956, but today the park system has expanded to 340 (operating and non-operating) parks covering approximately 8% of Ontario. Ontario Parks was established in 1996, and is a branch of the current Ministry of Natural Resources and Forestry, and serves as the government organization responsible for the management of Algonquin Park, and other provincial parks. Clearly, Algonquin Park is a very important place for all those who cherish Canada's natural, cultural, and recreational values. We encourage you visit Algonquin Park this year to help us celebrate, but more importantly come to Algonquin Park to discover what makes this place so special.